All HARBOUR CLUB homes currently listed for sale in Delray Beach as of 04/21/2019 are shown below. You can change the search criteria at any time by pressing the 'Change Search' button below. 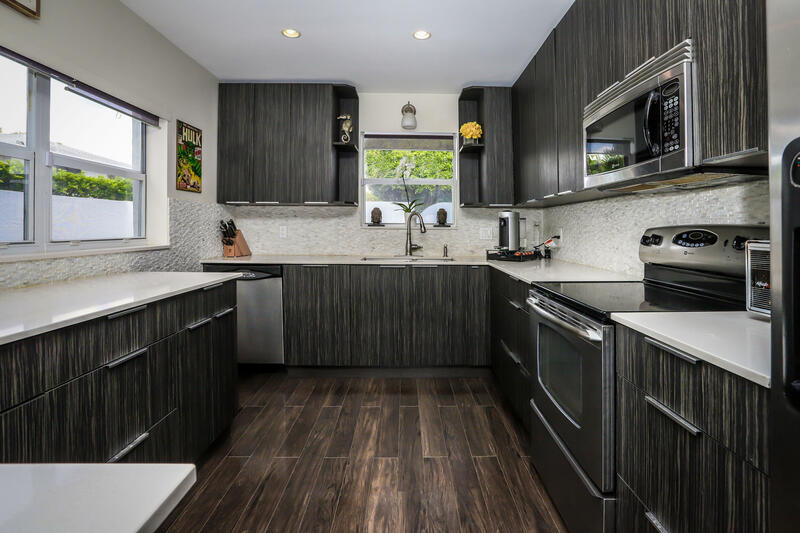 "Beautifully renovated 3 Bedroom Corner Townhome in highly desirable East Delray Beach. Minutes to downtown Atlantic Ave and a quick bike ride to the Beach! Gorgeous Updated Kitchen with sleek Zebra Wood Cabinetry, Quartz Counter-tops, Built-in Wine Cooler, and Stainless Steel Appliances. Dark Walnut Flooring consistent throughout home. Vaulted Ceilings with Open Floor Plan, with kitchen flowing into Formal Dining Room and Spacious Living Room with Wood Burning Fireplace. Double French Doors lead out to Large, Private outside Patio with Fully Fenced Yard. All 3 Bedrooms have their own Private Balcony. Master Bedroom has walk-in closet and custom black-out shades. All bathrooms are updated. One Car Garage and Several Private Parking Spots reserved for Guests. ''A'' Rated Schools!!"